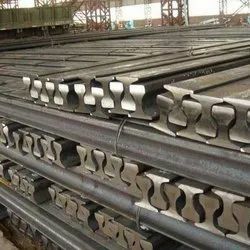 We have uniquely positioned ourselves as dependable exporter, importer, trader & supplier of precision-engineered collection of ASCE Standard Rail. This unique range is manufactured employing cutting edge technology and utmost-grade components in compliance with set industrial standards. Furthermore, the offered product is stringently analyzed by vendor’s quality controllers. Our offered products are well known in the market for its durability and rugged construction. The entire range is made available in a various customizes options at a competitive price. Looking for ASCE Standard Rail ?